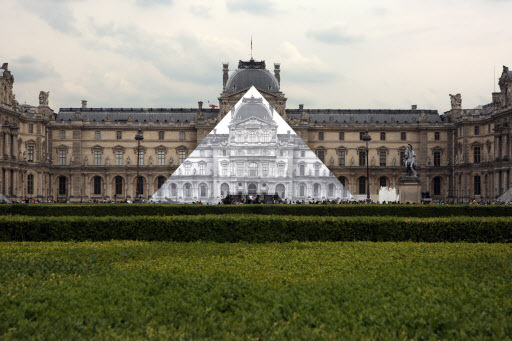 The one-time graffiti artist covered the Louvre’s glass pyramid with a vast black-and-white photograph of the facade of the palace behind it. Visitors to the Paris icon are tricked into believing the 21-meter high pyramid is no longer there, particularly if they stare at the image from a certain angle. “I love it when an image crosses into our field of vision, especially one of a place that’s been photographed a million times,” JR told reporters. The Louvre -- home to Leonardo da Vinci’s Mona Lisa -- said it drew more than 8 million visitors last year. The exhibition “Contemporary art - JR at the Louvre” runs until June 27.